I’m honored to feature an original post by SpartanLifeCoach, Richard Grannon. His website can be found here. Here are tips for the modern human seeking to avoid becoming entangled in personality disordered unpleasantness. Many psychologists think we may be facing a full blown narcissism epidemic. And NO, this doesn’t just mean middle aged baby boomers whinging about girls at the gym loading up their Instagrams with selfies. We are talking a full blown narcissistic personality disorder epidemic on the real. Academics and clinicians are (quietly) holding seminars and conferences about it as we speak. The difference between a touch of vanity and malignant self obsession? According to Freud a narcissistic phase is vital to the healthy psychological growth of infants. If people are traumatised at a certain age in a certain way they “get stuck” in a rather infantile phase of development giving them the morality and compassion of a 4 year old toddler tyrant. This very overbearing “me, me, me” phase is essential to the development of self regard and boundaries in a young child. It is extremely toxic when still present in a fully grown adult. Lets clear up some confusion: Having pronounced narcissistic traits can be an advantage in certain situations, yes. Many people think the essence of narcissism is self love and/or vanity, if you are talking about narcissism with a little “n” then perhaps. You want to look your best, dress well and take of your self, this is normal. However, Malignant Narcissism is a world away from a little dose of narcissism. A full blown NPD has experienced a dramatic and long lasting break from reality as a result of trauma. This trauma is usually from being objectified by a highly narcissistic parent who has used that child as a kind of narcissistic supply by proxy (a bit more complicated to explain, I’ll get into that elsewhere). Malignant NPD means a shell personality has been constructed around the authentic self as a defense mechanism to a hostile environment. Onto that shell the NPD projects a false, idealised self. They really are living inside “their own little bubbles” of narcissism. Their relationship with reality is by definition, warped. Make no mistake–being vain and self-interested does not Narcissistic Personality Disorder make! If the psychologists are right and full blown narcissistic personality disorder is both currently under-diagnosed and on the rise then you might want to be extra careful you are getting intimate with a new partner. 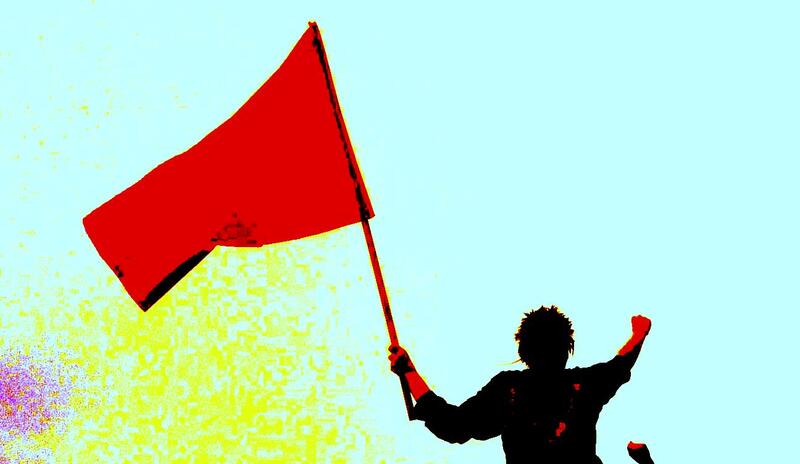 Take more precautions, learn what the red flags of NPD are and if you see it, disengage, disengage, disengage. Can’t I just dip my toe in? Can’t I save them? No and no. Getting involved with a full blown NPD can be disastrous and can leave the partner with PTSD-like symptoms that seem at first to be a kind of intense heartbreak but actually signal a crisis of self identity and of the individuals relationship with reality itself. Yes, that’s how dangerous and damaging a relationship with an NPD can be. Look online and you will see countless stories of people losing money, property, jobs, businesses, self worth and sanity all at the hands of an NPD. Someone with NPD could be considered to be an un-personality. Instead of an individual with feelings, wants and desires there is only a shell who is hell bent on garnering certain types of emotional responses and attention from those around her/or him. Because of this unique (and previously very rare) condition they are excellent actors and superb social chameleons who can tune in to their selected victims dreams, fears and desires and then be exactly what the victim thought they had been looking for their whole life. Clue 1: If its too good to be true, it probably is. Nobody is perfect, thankfully, what a dull world it would be if it were not so. If you meet a girl or a guy and they seem to be weirdly PRECISELY what you think you were looking for then stop and go back and check again. Clue 2: Too fast, waaaay too fast. The NPD accelerates the relationship at lightning speed. They instantly will want there to be zero boundaries between the two of you. Why? The NPD is a close cousin to the well known Psychopath (Anti-social Personality disorder). 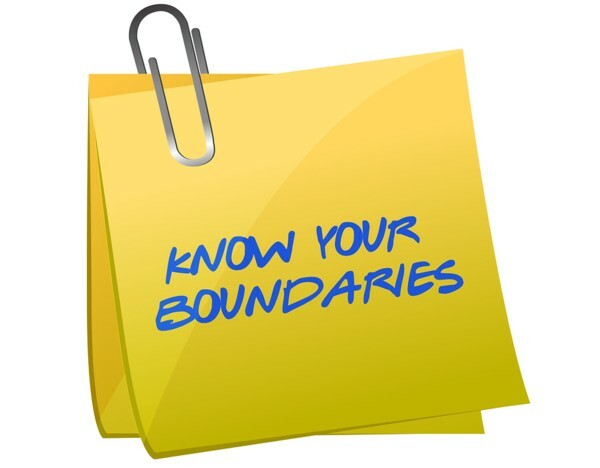 These are personality disorders defined by a lack of boundaries. Between themselves and others, between what they think, perceive and what they feel, and their fantasies and reality. So why is that such a big deal, wouldn’t that make a person a bit of a dreamy, artistic, creative type? Fundamentally good natured if a little frustratingly scatter brained at times. Because of the essential traits of this cluster of personality disorders: exploitativeness, entitlement and a strong urge to punish. I wont get into whether NPDs are truly sadistic or not here, but Cluster B disorders (malignant Borderlines, Narcissists and people with Anti-social Personality Disorder) are very focused on power dynamics and maintaining the upper hand at all times. It is an expedient way to exert power over someone, to simply hurt them and make them feel distress. They want to be intimate rapidly with you, not because they love you “SO MUCH” (sorry to bring what will be to many, very painful news) but because it makes them feel significant, indispensable, powerful. And the Cluster B has little to no impulse control, so why not just get all the way inside your life straight away? It feels sooooo good. The harder and more fiercely they love you at first the more savagely they will treat you when the axe falls. And it always falls. Intimacy terrifies the NPD. It’s a loss of control. If they “lose themselves in the game” they may start feeling their authentic feelings for you. This will make them frightened and angry and then they will give way to their “talionic impulse” (look it up, see how well this shoe fits!) and punish you for making them feel feelings for you. If the girl or guy you just met is mauling you with adulation and love, be advised: step away from the relationship. Even cults have figured out that the human condition is fragile and insecure and that if you “love bomb” (literally bomb someone with compliments, gifts, adulation) it makes the target feel really intense feelings of happiness and recognition all associated in their brain with YOU. Or the guru of the cult. This gives them the initial hook into you. Kind of like a crack dealer letting you have your first few hits for free. Why are they always mean afterwards? It’s fuelled by the mechanism called the “talionic” urge, and it’s preconscious. It’s likely that they know they are doing it, but it’s very unlikely they actually know why. These are not people who spend an awful lot of time on genuine introspection, questioning their own motives! Its called the “cycle of idealisation and devaluation”. They put you, or rather their fantasy of you, up high on a pedestal, because it makes them feel good to do so. When you, eventually, refuse to be the fantasy they want and are annoying enough to be the real person you are, you inflict an outrageous insult against them and they are disproportionately angry (this is called narcissistic injury and narcissistic rage) and will fling you into the gutter with total savagery. To say they are cruel is an understatement. They have a sense of your suffering but simply do not care one bit if you are totally destroyed by their cruelty. In fact they would prefer it. It would be further proof of their power and uniqueness if you were crushed by their dismissal. Or indeed to any boundaries being set. If you tell another sane, adult, who is being truly honest with you and doesn’t have an ulterior motive the word “no” politely and they have a major emotional response to that, or indeed you just try to set a boundary and they get very angry or upset, well, you don’t need a psychology degree to see that that just is NOT healthy. Why? A boundary being set is them being locked out. A boundary being set is them losing controlling. The NPD experiences a boundary or a “no” as a hugely outrageous insult to their assumed superiority and they will respond with rage or an uber-sulk session that will last for days. Both have the same intent: to punish your disobedience. Clue 5: Jealous and/or Controlling Behaviour. Come on, I know that he or she is really hot and they are great in bed and funny and charming (the NPD as a great actor and social chameleon can really turn on the good stuff when its getting them what they want) but are you really going to ignore another sign of them being moody, bratty, bossy, petulant, jealous or just plain manic control-freakish? The NPD is an infant trapped in an adult body. They think they have a right to everything, all the time, all of you, every part of you. NOW. One of the symptoms of being with an NPD is a dysregulated HPA axis. Sounds fancy, in this context it essentially means that your brain systems “threat assessment software” has gotten out of whack as your frontal lobes and limbic system have gotten into a fight with each other about how dangerous this person is. This means you will feel exhausted, depressed, anxious, hyper vigilant and prone to over react to stress you can normally deal with. If it goes on long enough you will experience adrenal exhaustion. One part of you is sending a signal saying: WARNING! This person is dangerous. And another part of you, encouraged by the NPD is saying: no, no, she is lovely and she loves me and I want this to carry on. This creates a split in you in which two opposing versions of reality fight for dominance and that’s very, very stressful. Watch out for the insomnia and bad dreams! You start checking their social media profiles. Maybe a sneaky peak on their phone checking whatsapp, facebook messenger and even emails. You aren’t proud of it, but goddamn it its becoming an obsession. There is an alarm ringing in your head that you are missing something and if you could just find the missing link you would know for sure and then you could relax. You being to obsess over the person. This has swung from a dream come true to a waking nightmare. Because you aren’t stupid, your intuition is functioning and is telling you that you have been the victim of a con, ripped off, lured by a classic bait and switch. But if you face that reality you face catastrophic loss. So like any good addicted gambler you double down and pray for the best by day. And by night you are guiltily stalking your own girlfriend or boyfriend on social media or checking their phone, or looking at receipts in their wallet looking for some clue, ANY clue that proves your suspicion waiting for the other shoe to fall. Sounds like being a tragic character from a Poe story doesn’t it? Doomed to slow death by Gin and melancholy. The light at the end of this gloomy tunnel? I’ve helped thousands of people overcome the effects of being emotionally abused by an NPD so I know that it is possible. But it leaves scars and it changes people. Sometimes it changes them for the better, sometimes though they are left simply bitter. 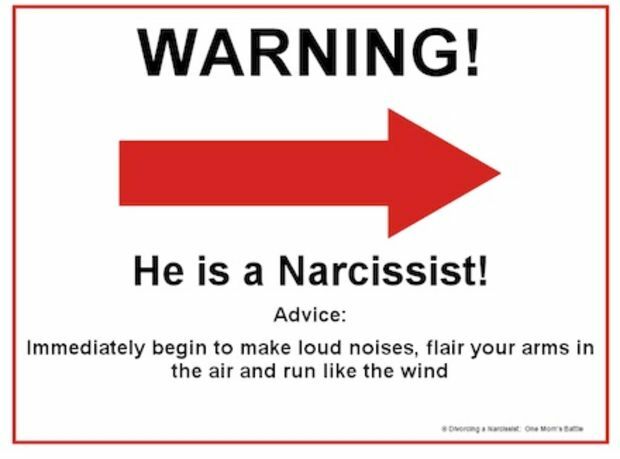 It would be much more effective if people could learn to avoid the narcissists altogether. Learn these clues. If you have any doubt or suspicion take a big step back. A normal sane person can permit you a few days breathing room where the NPD cannot, so doing so gives you an effective test of sanity and emotional stability. Attributes which are, according to the psychologists, sadly on the demise. This entry was posted in guest blogger, guest posts, narcissistic abuse, SpartanLifeCoach and tagged boundary violations, Cluster B disorders, malignant narcissism, narcissistic personality disorder, red flags, relationships, Richard Grannon, setting boundaries by luckyotter. Bookmark the permalink. I really like the part about listening how you feel when you’re around them. This helps with all types, narcissists included. I agree. I sure wish I’d listened to my intuition when I met my narcopath ex. I did get a weird feeling, didn’t like him much for about 5 minutes, then fell madly in love in spite of that. I wouldn’t have my 2 great kids though, which is the only reason I don’t regret marrying the dumfuk. I’m getting better at it! Also getting better at setting some boundaries. Your blog is noticed in this circle as I googled scapegoating months ago and your blog was one of the first ones that came up. It’s a very good blog, too. I can relate to everything Richard wrote above. His mentioning nightmares shook me. My ex-husband and then an ex-boyfriend, nightmares with them both directly because one part of me was saying, “I can work this out, I need to make this work” and the other side of me was saying, “Your life and mind is in danger – get out now!”. This equals to having deeply dark and horror movie-type dreams about the man in the bed beside you that forces you to have to look at him a little different during the day from then on. There’s always a little part of us that is completely committed to protecting us. It won’t be silenced. I forgot to mention that I used to have nightmares as a teen and in my early 20’s about my mother as well. My own mother. I’ll write about that some day as they were very creepy. Yes, I had the same about my mother and just described it in my long comment to you. You should definitely write about that sometime. Thanks for the kind words , PrairieGirl! It’s true this blog has grown a lot and is probably one of the more (I hate this word really) popular ones, but I’ve worked really hard to get it there. I still can’t earn a living from it though, although I make about $50 – $100 a month in advertising revenues. That does help. But financial compensation isn’t the reason I write it. Hell, I’d pay to do this! (and actually do, because my Charter bill is more than I earn from it). I don’t recall having nightmares about my ex, but I definitely got the red flags, as I explained in another comment, but I ignored them. Now I would not ignore them. However, as a very young child, I was extremely attuned to the emotions of those around me (I’m slowly regaining that ability to be an empath) and had terrible dreams about my mother–as a demon, a monster, what have you. Those dreams used to frighten me terribly and I was afraid of my mother, but only in my dreams did she appear as demonic. Though one time when she was in one of her rages, I looked into her eyes and saw the black emptiness many people describe. Her eyes were normally a bright blue, but at that moment there was NO blue there, just black. I’m skeptical about stuff like this (reptilian people and that sort of thing) but you have to wonder. And at about age 12, I became very rebellious and we used to fight (often over my non-existent “weight problem”, and I remember saying things like “you are so empty, it’s like there’s nothing inside you.” I knew nothing about narcissism or anything like that, but yet I knew. I was always good at seeing through people’s facades, including narcissists (though I’d ignore the red flags) and still am. Ironically this makes me have empathy toward narcissists to some degree, because I’m able to see not only the emptiness, but also the hurt child within. That’s why if I was stronger person, I would not mind working with them (the self aware ones of course) as a therapist. I don’t know if I’ll ever be that strong though. Sometimes I get the lower spectrum, self aware ones emailing me privately or on my other blog, asking what they can do about their disorder. All I can do is direct them to other resources and encourage them to read as much about NPD as they can. I do feel sorry for them. I think part of the reason for this (a big part, really) is because I have this need to heal my parents, which is something that will never happen (father dead, mother too old and too far gone into her narcissism). It’s also why I’m so codependent and have always been drawn to narcissists and gotten into romantic relationships with them, because subconsciously I want to “fix” them. Of course it never worked. I have talked about this in therapy, about why I have this empathy toward people who probably don’t deserve it, and he agrees it has a lot to do with the fact that after everything, I still do love my parents. Weird, I know. Not everyone understands this about me. Reptoids? That’s a new one haha! It could be demonic possession, I definitely think a person can be inhabitated by a malevolent spirit, even if it’s not an actual demon. Great article.Richard gets right down to the essence of NPD. It is such a relief to finally find out that no, you are not going crazy but that the partner you’ve been trying to love and support and who,despite all your effords, just will not listen to reason, is in fact beyond help…It really helped me to finally walk away.Richard’s youtube videos have been instrumental in giving me insight in my situation…and made me laugh out loud a few time too..which has got to be a good thing in this situation! I love Richard’s gonzo writing (and speaking) style, he gets right to the point and isn’t afraid to be a bit of a potty mouth about it sometimes too LOL! He has a lot of insight and knowledge, that’s for sure. He’s helped me and many other people and probably saved a few lives too. Thank you Courage, and kudos to you too for having the Courage to do your own videos! I don’t do videos because of my social awkwardness and shyness and I’m less articulate when speaking than writing. But I admire those who do, and I’m sure yours are just fine and you have helped people too. I think I am following your blog but I will check to make sure and try to visit more often. Thank you! This is the kind of article that could save someone’s life. It was explained very well, clearly, and simply, and was understandable. Narcissism can be complicated but this really breaks down what is necessary to know to survive. I agree, Ruby, and also about the saving someone’s life part. It’s a great post! I really like this article. It certainly clears some things up about my mother. My ex fit all of them but the last one. I never became a detective but I sure as hell felt I needed a tape recorder to record everything I say and what he says to me because I swore my memory was going bad. Funny thing is she told me she has BPD than covert narcissism. Yes I did say she. BPD can be really hard to tell apart from covert narcissism.